Happy New Year everybody! 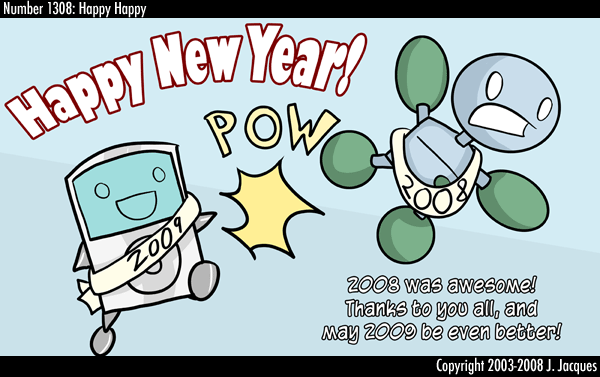 2008 was wonderful, and a lot of that wonderfulness is due to you, my readers. I'm really thankful you guys are out there, and I hope you'll stick around and see what I have in store for 2009. It should be pretty interesting!